What do your recipe when buying a culture? 1 x Vacuumed sealed food grade bag of culture can make 5L of fermented Kombucha every 10 Days. Note that it is a live culture and it can be used over and over again, you don’t have to replace your culture to make new fermented product. 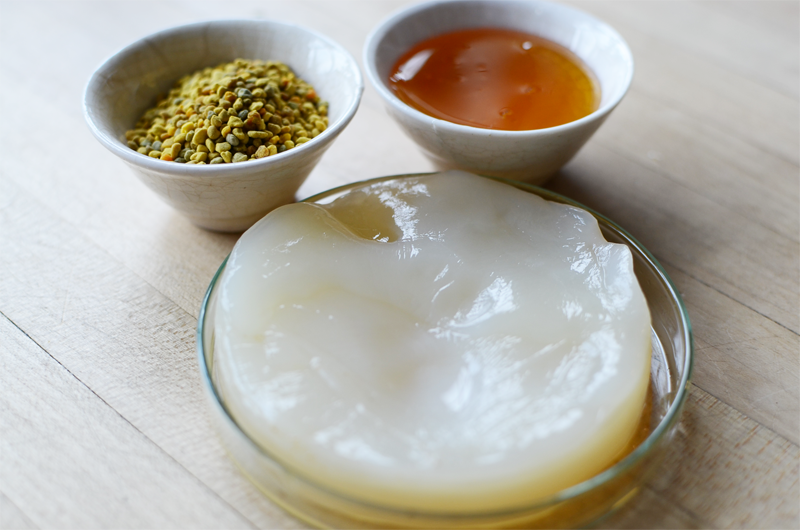 If you take care of your culture / Kefir Grains or Kombucha Scoby, it will last you your whole life long. Jun is widely found today in western Tibet (the number one place on my bucket list to visit someday) although it’s actual history is shrouded in rumor and mystery. Some Jun dealers claim that the earliest writings about Jun tea date back to 600 B.C. in Northeast China where the elixir was valued for its ability to open energy (chi) in the body and increase circulation. Unfortunately, no source for these “earliest writings” is actually given. Jun cultures are precious and a bit hard to find to say the least. “Heirloom” Jun cultures are apparently so rare, in fact, that there have been robberies of Jun cultures reported by specialty fermentation dealers in recent years with distribution of daughter cultures of the stolen originals ending up in Hawaii in Colorado. To say that I am in love with this lighter, faster brewing cousin of kombucha would be an understatement! Let’s examine some of the similarities and differences between these cousin ferments. 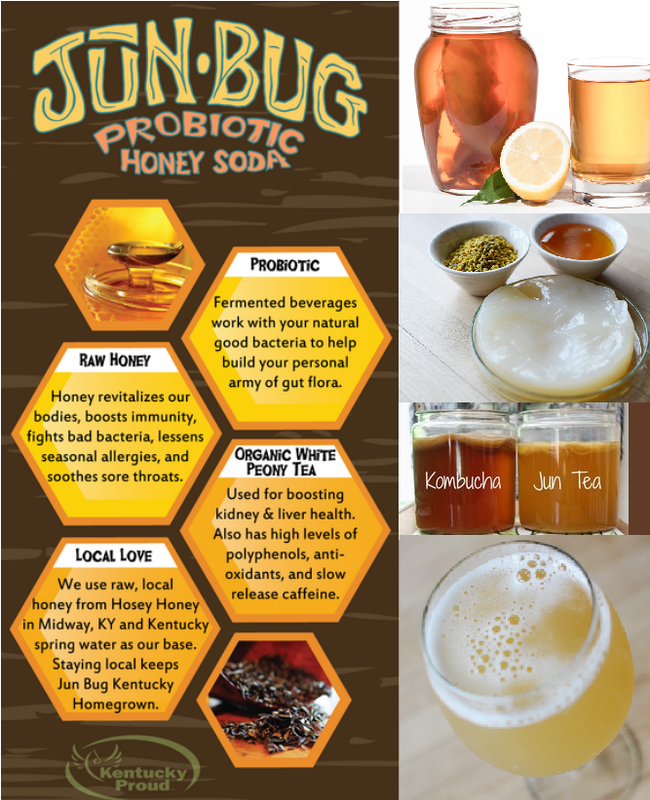 Where a full gallon of kombucha typically uses 4-5 teaspoons of black tea and 1-1.5 cups sugar, a gallon of Jun requires 4 teaspoons of green tea and 1 cup of honey, ideally locally sourced and raw. 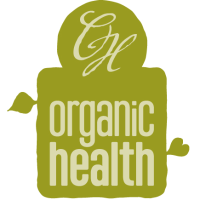 This means that Jun tea would be free of any potential disaccharide residues from the white sugar and hence friendly to those on the GAPS Diet. 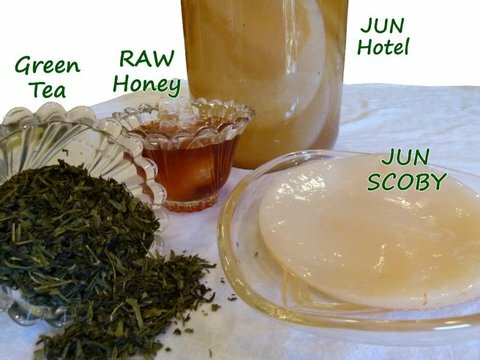 The (loose) green tea used to make Jun is steeped for only two minutes, whereas for kombucha, steeping time is normally 10 minutes. 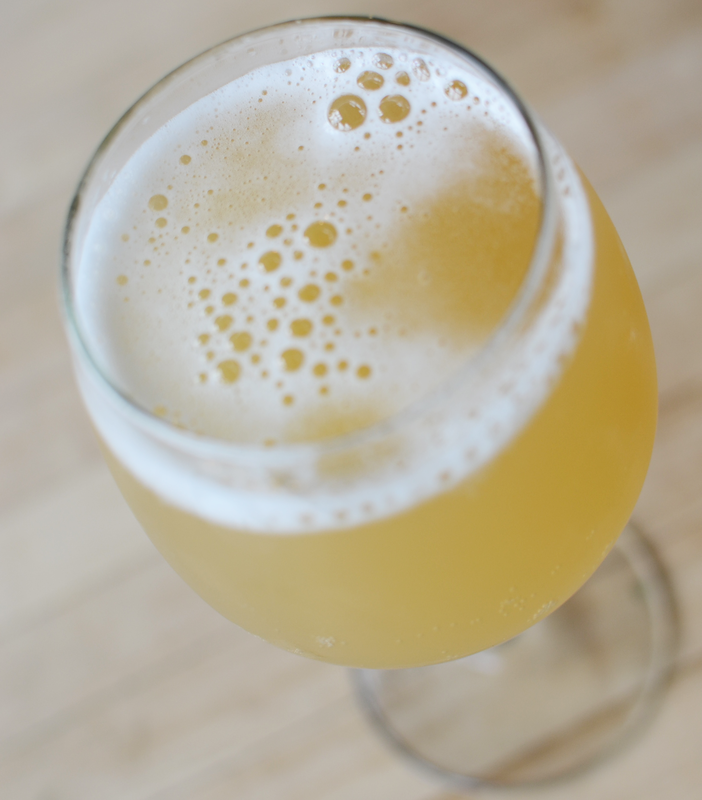 Brew time is also shorter for Jun – 6 days versus 7 days minimum for kombucha. This results in a lower caffeine final brew (if any is left at all) with lower potential fluoride content as well if lower quality and/or nonorganic tea is used for budget reasons. According to my friends at Kombucha Kamp, the ideal brewing temperature for Jun tea is between 68-77 F (20-25 C). For kombucha, the temperature range for optimal brewing is 78-85 F (25.5-29 C). As a result, depending on the temperature of your home, either Jun tea or kombucha may make more sense depending on the seasonal effect. In addition to the increased cost, Jun tea is more alcoholic (around 2%), with kombucha clocking in at .5% for a typical batch. The increased alcohol content makes Jun tea inappropriate for children. In addition, it is not advisable for consumption during pregnancy and breastfeeding. Kombucha, on the other hand, is a ferment I enjoyed all throughout pregnancy and lactation and allowed my children to sip in small amounts starting around age 2. Should You Try Jun Tea? If you have never made kombucha or other home ferments before, I suggest you start with kombucha as it is far less expensive to make and failure of a batch or two won’t cost you much. On the other hand, if you are experienced at home ferments, give Jun tea, the champagne of kombucha, a try! Who knows? You might end up a Jun-kie! Hint: Do not boil the water like when making kombucha. Place 4 tsp loose tea in a stainless steel tea mesh and hook to the side of the pot. Stir in honey and let mixture come to room temperature. Stir in starter and stir to mix. Place Jun tea culture on top. Cover with a clean, white tea towel or floursack cloth and secure with a large rubber band. Place in a quiet room (the top of a bureau in a guest bedroom or the top of a file cabinet in a home office are perfect. Ideally, not the top of the refrigerator or other appliances as the EMFs will weaken the Jun culture over time). Harvest after 3 days if you wish to bottle the Jun tea for 3 more days for additional fizziness or leave for 6 full days if you don’t intend to bottle. Place Jun cultures in a glass jar or bowl with sufficient brewed Jun tea to cover and reserve in the refrigerator for your next batch. Bottled Jun tea should be always be very cold and opened in the sink to prevent accidental fizzing over onto the counter and floors. Jun is an easy way to ingest probiotics. She says it’s especially beneficial for people who don’t enjoy consuming yogurt or taking pills, as Jun is a simple and tasty way to ensure that your body is getting the good bacteria it needs.